power off"setting should be properly adjusted to give WIFI SD enough time to finish the WIFI transfer. 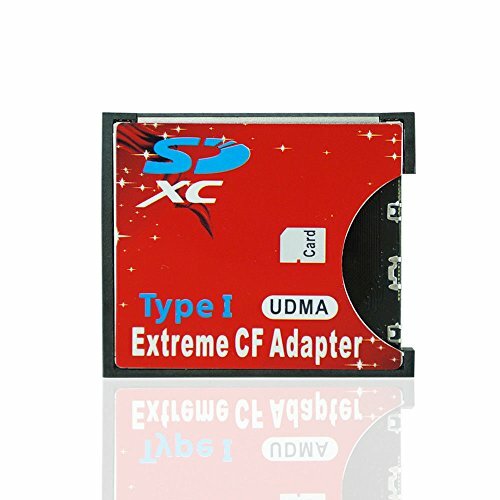 Perfect solution for converting the SD (Secure Digital ) / SDHC (Secure Digital High Capacity) / SDXC(SD eXtended Capacity) MMC (Multi Media Card) to standard CF Card Type I . Get the power of SDHC to your digital devices. Supports I/O mode memory model,storage model and IDE mode. & Support SD 3.0 and window. High-Speed CF interface with extreme performance. If you have any questions about this product by Adventurers, contact us by completing and submitting the form below. If you are looking for a specif part number, please include it with your message.